LA KINGS HISTORY: Selecting defenseman Larry Murphy in the first round on the 1980 National Hockey League Entry Draft was a momentous occasion for the Los Angeles Kings. After all, they had a long history of trading away their first round picks and drafting poorly. But Murphy went on to become a star in the NHL, and a four-time Stanley Cup winner. The only problem, from a Kings perspective, was that, like so many others, Murphy went elsewhere to do it. 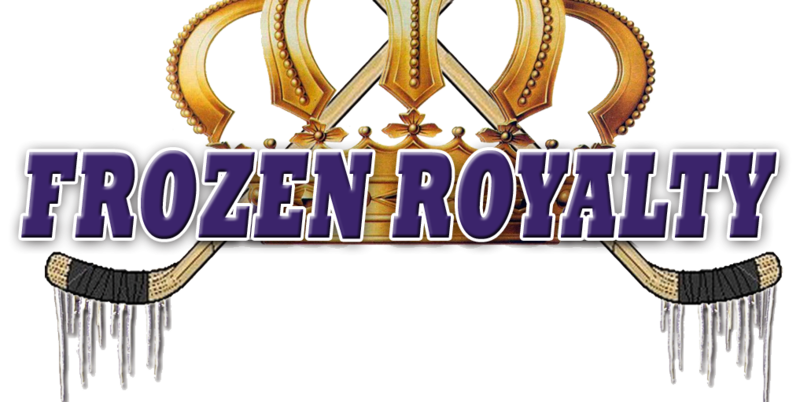 In the final installment of this series, Frozen Royalty spoke to Murphy about his time with the Kings, the friction with the coaching staff that started his problems with the team, and why he had to leave, a story that probably isn’t what you might expect. EL SEGUNDO, CA — Defenseman Larry Murphy burst onto the scene with the Los Angeles Kings in the 1980-81 season, making a huge, immediate impact, scoring 16 goals and adding 60 assists for 76 points in 80 games in his rookie season—he finished second in the Calder Memorial Trophy (rookie of the year) to the legendary Peter Stastny that season. Murphy scored 22 goals and tallied 44 assists for 66 points in the 1981-82 season, followed by 14 goals and 48 assists for 62 points in the 1982-83 season. As reported in part 1 of this series, Murphy was the Kings’ first true (notable) offensive defenseman. It was obvious right from the start that he would become a star in the National Hockey League, one of the best defensemen in the history of the league. But like so many other former Kings, Murphy would go on to become a huge star elsewhere, making his mark with other teams, winning the Stanley Cup twice with the Pittsburgh Penguins and twice more with the Detroit Red Wings. In 2004, three years after his retirement, Murphy was inducted into the Hockey Hall of Fame. To be sure, the Kings let another big star get away. But after winning two Stanley Cup Championships in the last three years, it is easy to forget the utter disaster that the vast majority of the franchise’s history has been. In fact, aside from their recent success since Dean Lombardi took over as President/General Manager in April 2006, the history of the Kings is littered with player personnel decisions that turned out to be blunders of astronomical proportions. Tremendous mistakes were made on and off the ice, but one only has to look at some of the Kings trades over the years to illustrate just how bad those errors were. March 10, 1980: Traded their first round pick in the 1982 NHL Entry Draft to the Buffalo Sabres in exchange for Jerry Korab. The Sabres used that pick to select future All-Star defenseman Phil Housley, one of the best United States-born players ever to play the game. March 10, 1981: Sent a third round pick in the 1981 NHL Draft and a first round pick in the 1983 NHL Draft to Buffalo in exchange for Rick Martin, who could barely walk upon arrival in Los Angeles. Martin played only four games for the Kings before being forced to retire because his knees and back were in such bad shape. Adding insult to injury, the Sabres used the 1983 first round pick to select goaltender Tom Barrasso, who was eventually traded to the Penguins. Barrasso went on to backstop the Penguins to two Stanley Cup Championships in 1990-91 and 1991-92. September 9, 1983: Traded the rights to Kevin Stevens to Pittsburgh in exchange for Anders Hakansson. Stevens went on to become a two-time Stanley Cup winner with the Penguins in 1990-91 and 1991-92, while Hakansson had an unremarkable six-year career in the NHL, and was forgotten almost immediately after it ended. The Kings were also a miserable failure in the NHL Entry Draft, trading away their high-round draft picks year after year after year. In fact, it wasn’t until 1979, twelve years after the Kings entered the NHL, that their first first round pick played for them. Add to that the fact that since the Kings first season in 1967-68, only 29 players who they drafted and developed have played for them and have contributed significantly, it is easy to see that Kings were, simply put, a comedy of errors for a long, long time, and that’s putting it mildly. Back in 1980, the Kings actually held onto their first round pick in that year’s draft—it was only the fifth time in franchise history up to that point in which they retained their first round pick. They used that pick (fourth overall) to select Murphy. As reported earlier, Murphy had a great rookie season, but after head coach Bob Berry was fired on May 22, 1981, friction developed between Murphy and the coaching staff. Replacing Berry was Parker MacDonald, who served as head coach for about six months until Don Perry was hired on January 11, 1982. Both MacDonald, and especially Perry, expected Murphy to play a much more physical game than he had ever played before, something that was never part of his game. Rather than adapt their coaching style and tactics to the players on the roster, MacDonald, and especially Perry, stubbornly and foolishly forced their players into a particular mold and style of play, which included more hitting and fighting. This proved to be a huge mistake, especially with a player of Murphy’s caliber. After 21 NHL seasons, four Stanley Cup Championships and induction into the Hockey Hall of Fame, Murphy has been vindicated many, many times over. To be sure, neither MacDonald or Perry were considered to be good coaches around the NHL. To illustrate, their brief stints with the Kings were their only NHL coaching jobs. Plain and simple, back then, the Kings were nowhere close to being a shining example of an NHL franchise, the exact opposite of how they operate today. In addition to the horrendous trades mentioned earlier, what is arguably one of the most lopsided trades in Kings and NHL history came on October 18, 1983, when the Kings sent Murphy to the Washington Capitals in exchange for defensemen Brian Engblom (now a color commenator for NBC Sports/NBCSN) and Ken Houston. Engblom was a defensive defenseman who won the Stanley Cup three times with the Montreal Canadiens, but was never one of the Canadiens’ top players. By the time he was traded to the Capitals (1982-83), he was on the downside of his career. Houston put up good offensive numbers with the Atlanta Flames and after they moved to Calgary, the Calgary Flames. He had another good season after being traded to the Capitals, but it was all downhill after that. In fact, after the trade to the Kings, Houston played in just 33 games with the Kings before retiring. In short, neither Engblom or Houston, or even the combination of the two, came anywhere close to the value of a player of Murphy’s caliber. But as lopsided as the trade was, unlike most bad trades the Kings have made throughout their history, this time, they had little choice. Fox’s new contract was also up for arbitration, at that time. Even with the flawed system, Murphy said that he would have accepted the decision if the arbitrator’s ruling matched Maguire’s offer. In the end, Murphy wanted to stay, but thanks to a flawed arbitration system, not to mention an obviously flawed arbitrator, Murphy and the Kings were forced to part ways. “[The salary arbitration system] had to grow a lot, and I think Larry got caught in one of those types of situations where the business part of hockey made it necessary for him to go somewhere else,” said Fox. After they traded for Murphy, the Capitals had no qualms about signing him to a contract. “We worked on a contract right after the trade, and I signed it,” he said. Murphy played six solid seasons with the Capitals before moving on to the Minnesota North Stars. But he took what would be his biggest step forward, at that point in his career, after being traded to the Penguins midway through the 1990-91 season. Murphy would help the Penguins win the Stanley Cup that year, and help lead them to another Stanley Cup win the following season. He went on to play three more seasons with the Penguins, followed by two seasons with the Maple Leafs, who traded Murphy to the Red Wings at the trade deadline in the 1996-97 season. Murphy would be one of the final pieces of the puzzle that put the Red Wings over the top, helping them win the 1997 Stanley Cup Championship. The Red Wings would repeat as Stanley Cup Champions in 1997-98. Murphy reminisced about winning the Stanley Cup with the Red Wings and Penguins. LEAD PHOTO: Former Los Angeles Kings star defenseman Larry Murphy, shown here during the Kings Fantasy Camp on March 12, 2015, at the Toyota Sports Center in El Segundo, California. Photo: David Sheehan/CaliShooterOne Photography.